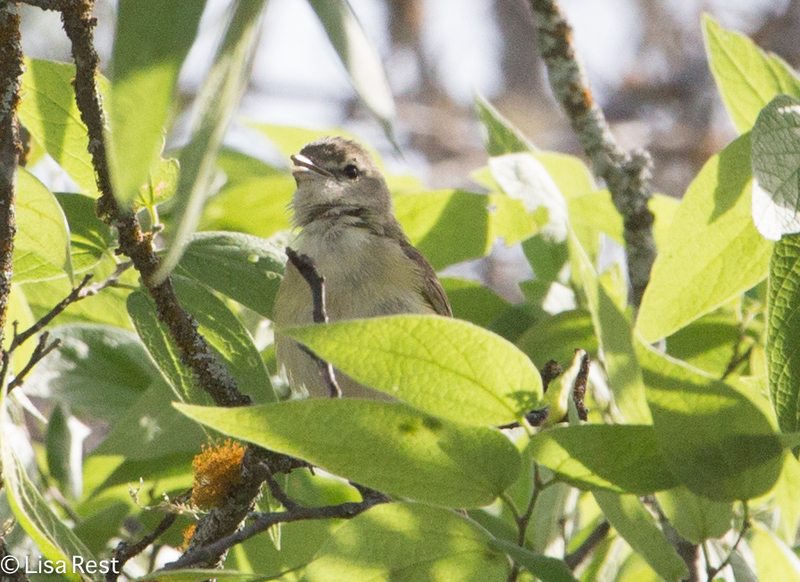 Bell’s Vireos have a reputation for sounding like they should be in plain sight but hiding behind the curtain, if you will. 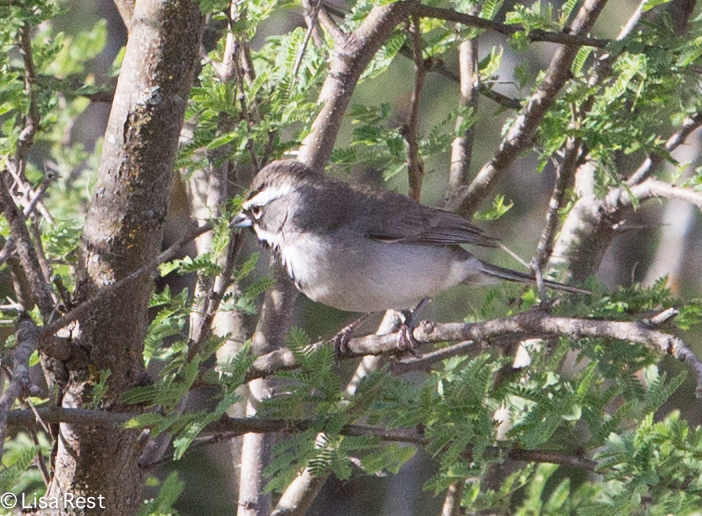 At least that has been my experience with those that breed in Illinois, so it was particularly rewarding to get pretty good looks, if not great pictures, of a Bell’s Vireo in Texas the last day of our trip. We dispersed early in the morning to bird the grounds of Neal’s Lodges individually before leaving for the Austin airport. I thought I had a better recording of this bird’s song, for all the singing he was doing, but there seems to be interference from road noise and several other birds. Anyway, the Bell’s is the intermittent but emphatic little chattery song, if you can hear it. 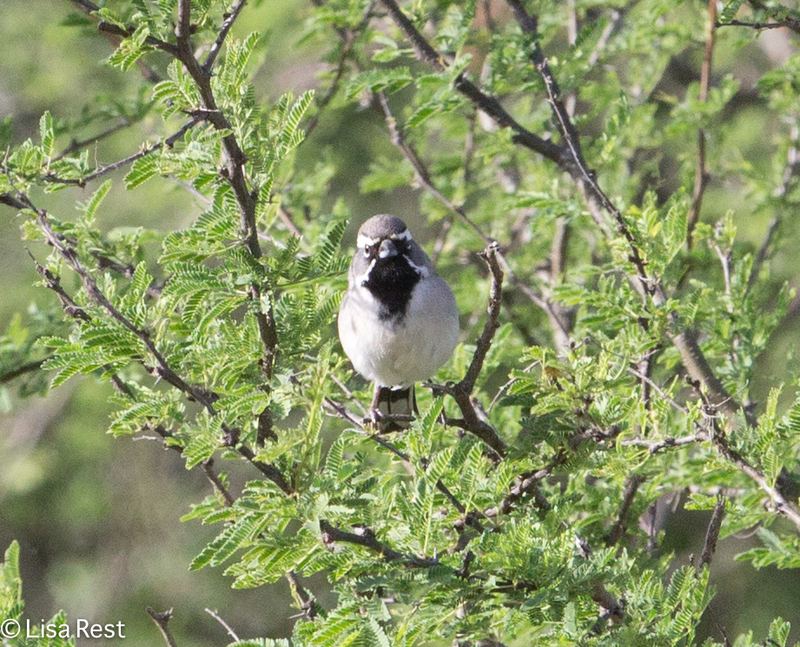 It’s possible one of the other birds singing a bit is a Black-Throated Sparrow. I was delighted to find him and get a few pictures as well. 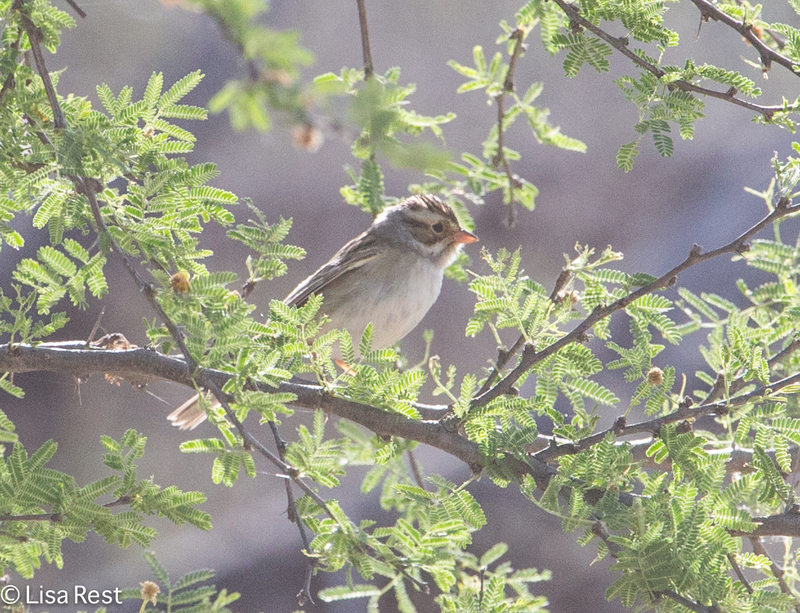 The last time I saw this species was almost two and a half years ago in New Mexico. Hard to believe it’s been that long. 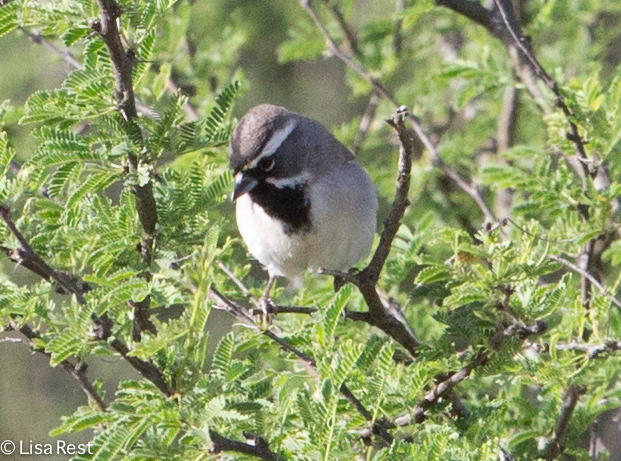 The bird has to be facing you to see the black throat for which it’s named. Otherwise you need to be familiar with its other field marks, like the broad white supercilium. 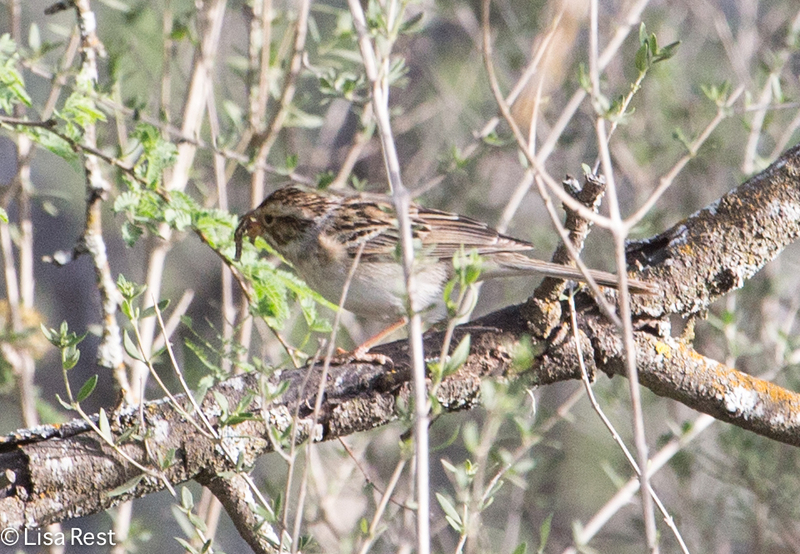 There was also a cooperative Clay-Colored Sparrow, but I don’t hear his buzzy song on this recording. Indoor birds and I are listening to Gluck’s Iphigenie en Tauride on the Tuesday Night Opera with Peter Van De Graaff on WFMT. It seems a good night to stay home, close the windows to retain some heat overnight, turn on the oven and roast veggies. The drop in temperature dictates coziness. 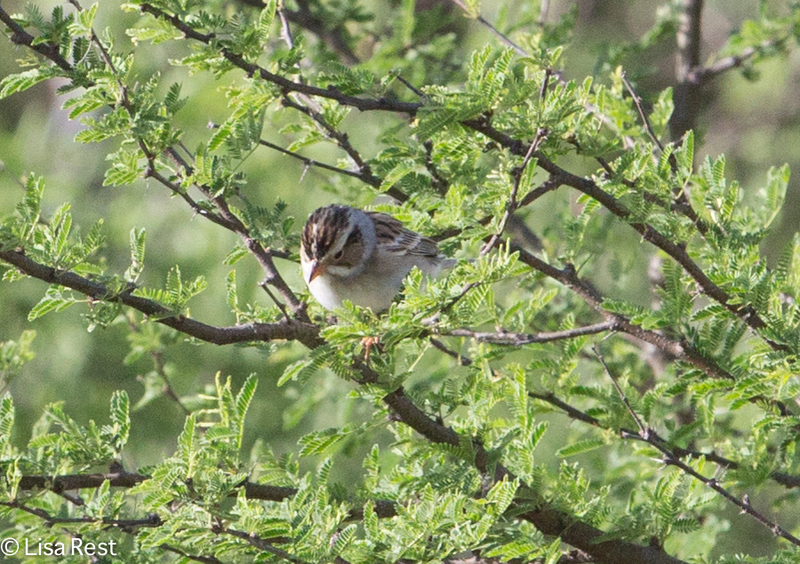 This entry was posted in bird song, birds, birds and music, photography, Sparrows and tagged Bell's Vireo, Bell's Vireo song, Black-Throated Sparrow, Clay-Colored Sparrow, Gluck opera, Neal's Lodges, New Mexico, roasting veggies, Texas, Uvalde County, WFMT by Lisa Rest. Bookmark the permalink. 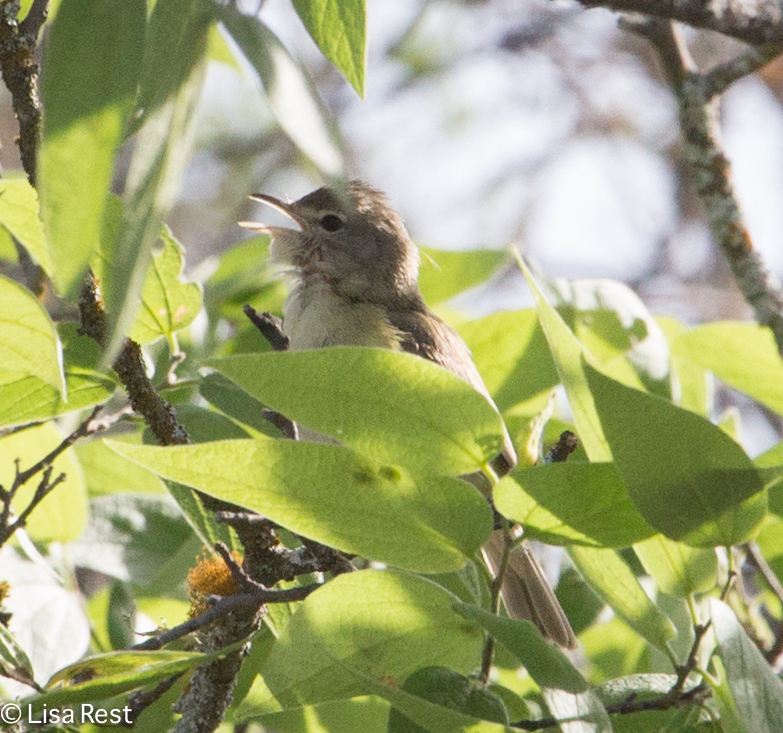 Great shots of the Bell’s Vireo. I have had the opportunity only once, got the shot, but never had another chance. I agree, they are very elusive. Thanks, Bob! Yeah, he was right there but refused to come out and show me his blue feet. 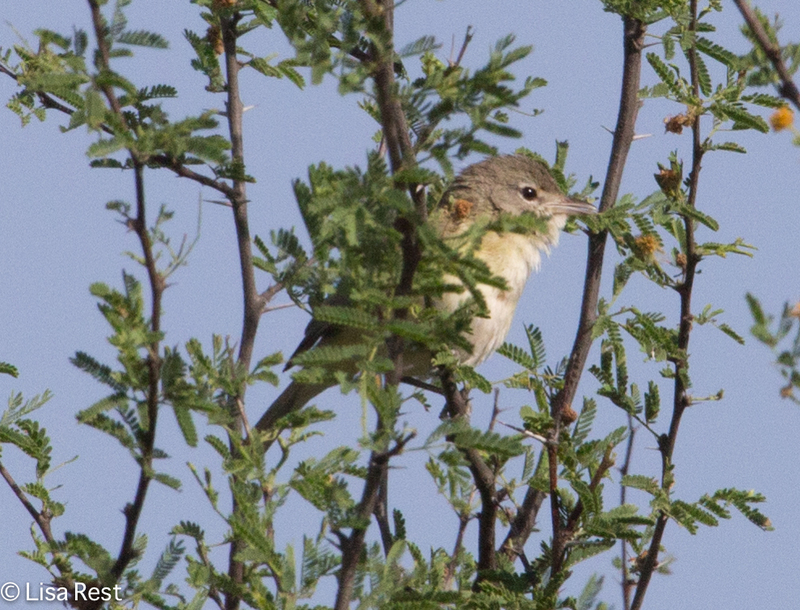 Vireos are shy as a group anyway, I think. Thanks, HJ! 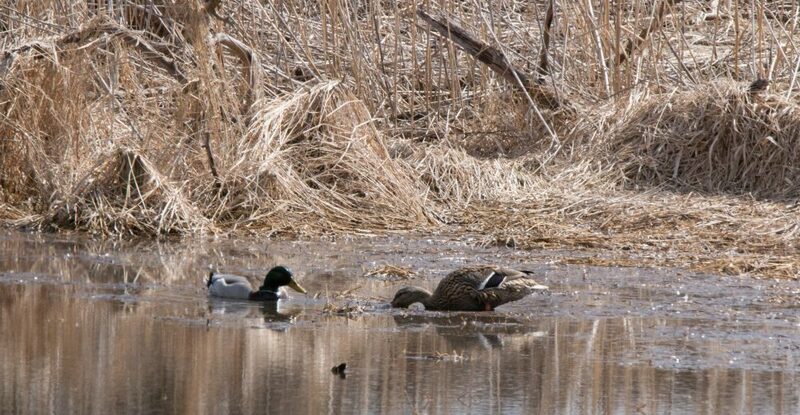 Yes, it would be very rare if you saw any of these birds where you are. I am enjoying the cool weather although the yard looks too muddy to work in. The weeds have me beat. Nice post. I like the vireo birdsong. Not familiar with any of these birds. Thanks. I wish the song was better, it’s really hard to hear with all the other stuff going on. It’s not a “tuneful” song, it sounds a bit scratchy. I’ll keep looking, maybe I can find a better recording with just the Bell’s and then I’ll replace it. Gluck and roast vegetables are a winning combination.